This mandatory statewide code also applies to state-owned buildings. No mandatory code. ASHRAE 90-1975 applies to residential buildings on a voluntary basis. Residential building energy codes are currently set by local jurisdictions. The promulgation of a statewide mandatory energy code would have to proceed through the state legislature. 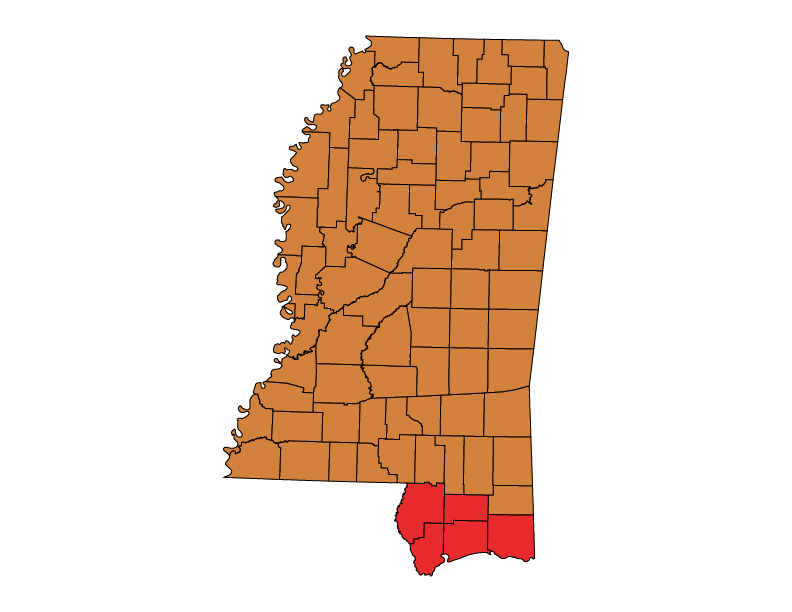 Mississippi is a home rule state. The effective commercial code, ASHRAE 90.1-2010, was scheduled to be repealed on July 1, 2016. However, House Bill 906 extended the period during which ASHRAE 90.1-2010 applies to commercial new construction. Taking effect on July 1, 2016, it amended Section 57-39-21, moving the date of repeal back another three years to July 1, 2019. HB 906 was signed by the governor on April 7, 2016. Implementation and enforcement of the new code, ASHRAE 90.1-2010, becomes mandatory. See this SEEA press release for more information on energy efficiency legislation in 2013. House Bill 1266 is signed into law, setting the mandatory energy code standard for commercial and state-owned buildings as ASHRAE 90.1-2010. HB 1281 updates Mississippi’s statewide commercial building energy code to ASHRAE 90.1-2010. Senate Bill 2887 is introduced in the Mississippi Legislature. This bill amends Mississippi Code 57-39-21 that would task the Mississippi Development Authority (MDA) to develop commercial energy standards based on ASHRAE 90.1-2007. In May 2012, this bill fails in conference committee. Senate Bill 2555, which would have set certain rules and regulations regarding energy performance in state-funded buildings, dies in committee. ASHRAE 90-1975 becomes effective for state owned buildings, public buildings, and high-rise buildings. This code also applies to residential buildings on a voluntary basis.